Game Maker has become a popular tool for creating quality games. Its growth is touching sky because of its easy interface and learning curve. Game Maker Language is programming language used by it. Its easy to learn but could be difficult for some users. In this post we will talk about the resources available to learn GML. 1) From a book: Books are the best source to learn from. Because you get the complete reference step wise. 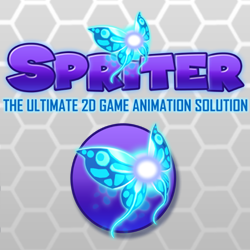 Game Maker has became a famous Game Maker tool for indie and professional game developers. There are lots of books available that will help you learn Game Maker Language. 2) Tutorials: Tutorials are best when you are finding a solution to a specific question. For example, how to create a rpg game? There are lots of tutorials available on the web. The best place to look is Game Maker community for latest tutorials. 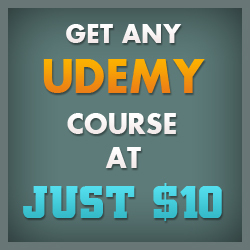 Some other cool tutorials are listed below. Make a Platform Game and Learn to Code with GameMaker Studio: This course teaches students how to build a polished platform game in GameMaker Studio. Students will learn to program in GameMaker Studio’s scripting language, GameMaker Language (GML). If you are interested in game development, programming, level design, platform games, GameMaker, or indie game creation, this is the course for you. Instructor: Benjamin Anderson a.k.a HeartBeast. 2. Become a Game Developer in 2 hours with Game Maker: Studio: A course that aims to make you a game developer in only two hours. Too good to be true. Lets see the content and ratings. 4) Game Maker Community: It is the best place to learn GML. 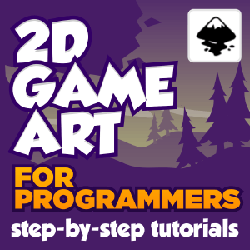 Here you can ask questions, find tutorials, game assets and even share your work. If you are stuck at any point in your game. Just paste your code and watch people helping you in minutes. The best part is people will give you different solutions to a single problem. You can easily pick out the easy and understanding solution. 5) Practice: It’s not just a line. You have to follow it. There is no way to learn anything if you are not willing to put effort in it. You have to pay a prize to get everything in life. Here prize doesn’t mean money. But its amount of life you have to give in exchange. If you are not creating new games (Complete them also) then how will you learn? Always try to do something different. If you gave your player sword in the last game, give him wings this time. a) Don’t scare to code: – Yeah don’t scare. It’s just a virtual language. It will not bite you if you use it wrong way. In starting, I was always so scared to code that I never created anything by my own. I used to think, what will happen if I will mess up the code, my whole game will be destroyed. By this fear, I never created a game for two years. b) Edit code: – If you have the source files of any game or tutorial. Always edit and play with code to see what happens. This is one of the effective ways to learn GML. You just have to change some values and see the results. You will learn which line of code does what? c) Think in code: – Think about the available functions or actions present in Game Maker and try to figure out how you can blend them to solve your problem. 6) Reading others code: – I created a different paragraph for this, because many do this wrong way. When I was new to Game Maker, I used to download lots of tutorials from the community and run them. But after seeing lots of code, I used to close down the program. I used to think, how someone can write lots of jumble words without any reference. They must be super minded. Never look the size of the code. It was not written in a matter of minutes. Every game developer creates game bit by bit, writing line by line. You cannot eat an elephant at once. You have to eat it bite by bite. Always look for specific things in code. For example: If you have a source code of a game that have a cool super kick effect by the hero and you want to implement the same in your game. Then first look for the event that created that kick. For example: You have to press Space bar to kick. Then look in Space bar event. If you have any advice, links or materials. Please write to us in the comment section. 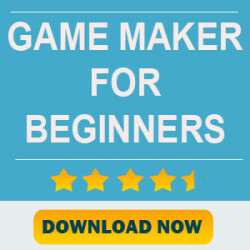 If you are interested in learning from a step by step guide then you can checkout the book “Game Maker For Beginners“. You can preview the book here. Thanks for this lovely post. I am a beginner. I am thinking to buy your book. The second course (Become a Game Developer in 2 hours with Game Maker: Studio) is by instructor Gurpreet Singh MAtharoo, not heartbeast. Please correct the name. Thanks Gurpreet. I have fixed it.